Here at Sip Marine, we want to be more than just propeller suppliers. We aim to be a partner for our customers, and to provide them with thorough and honest advice. For this, sustainable relationships and sense of reality are the founding values. We are based upon three fundamental values: experience, reputation, and modern techniques. We will make a maximum effort for you to achieve your goals for efficiency and environmental awareness. Thousands of propeller designs, and direct involvement with our customers, together with our products guarantee the vast experience and expertise of our employees. The combination of this experience with high-quality knowledge, state-of-art design tools and a pragmatic problem solving approach makes that we can come up with perfectly fitting solutions. We do such in various markets, from inland navigation to fishing, and from super yachts to tugs. But, if the result may be disappointing or is not able to meet expectations, we report that. And we investigate what can help you instead. We are a technology-driven company. This means that we will continue to invest in knowledge and techniques tob e able to offer ever better solutions, and to remain leading in the propulsion of ships. Our in-house developed SIPPROP design software, with its propeller- and knowledge-database, the extensive application of CFD-tools, but also design and visualization of hull shapes by means of 3D-printing, are evidence of progressive developments. Data is always maintained and expanded, so that knowledge is recorded, and is accessible for new projects. Our CFD-applications are unique in the world, and a serious replacement for model-sized an full scale tests. This makes it even more possible to adapt the many aspects of resistance and propulsion, to simulate and to make reliable predictions about the sea trials. 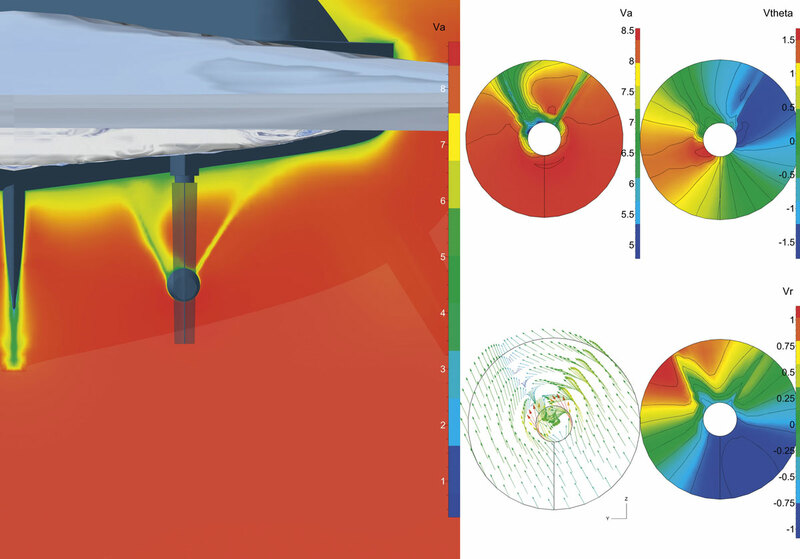 Sip Marine uses the most sophisticated CFD tools to realize the perfect match in ship and propeller design for your vessel according the unique 5 steps process.